Houseplants are a great way to naturally purify the air and create a relaxed, serene home. If you're shopping for greenery, it's important to think beyond aesthetics and light exposure, though. 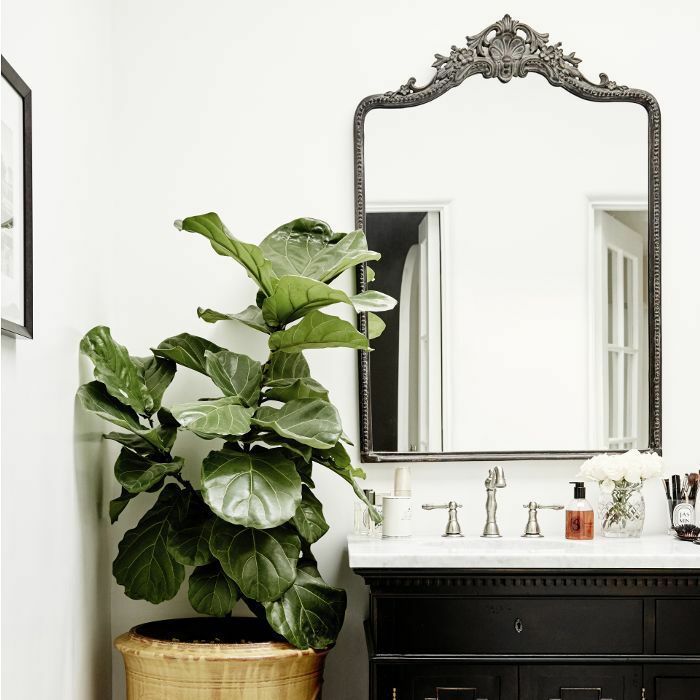 According to Brit+Co, a number of popular plants that dominate Instagram and Pinterest could actually prove hazardous to those in your home. "Many common (and, dare we say it, trendy) plants are actually poisonous if ingested by your pet, or by a child," Brit+Co explains. While they might match your new midcentury-modern sofa or Oushak rug, it's simply not worth the risk. Check this list before browsing Amazon's plant store—it's best to avoid these common varieties if you have a child or a pet. Peace Lily: These white-petal, evergreen plants might be beautiful, but they're also toxic to dogs and cats. Ingestion can cause vomiting and difficulty swallowing, Vet Street reports. Fiddle-Leaf Fig: Sure, this trendy plant is a mainstay in Instagrammable homes, but it's not a wise choice for pet owners. It's not likely to be lethal, but it can irritate their mouth and mucous membranes. Elephant Ears: Experts say this tropical plant can lead to swelling of the mouth, vomiting, and diarrhea. Eucalyptus: Despite its calming fragrance and beautiful flat leaves, this plant can cause depression, weakness, and salivation in pets. Rubber Plant: Characterized by its eggplant-hued, waxy leaves, this plant can cause skin irritation to humans and gastrointestinal distress in pets. Can't decide which plant variety to buy? Follow Joanna Gaines's lead with a faux branch.